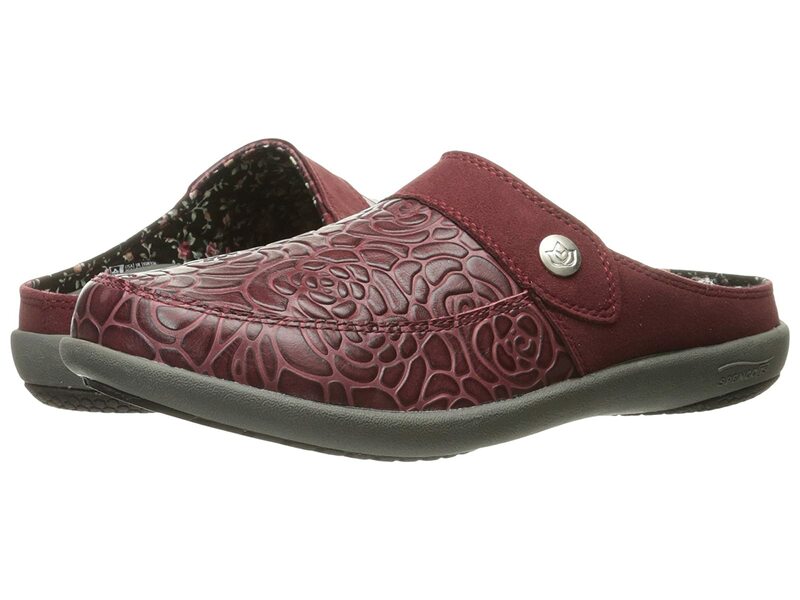 Slip on the Spenco® Alicia features a floral design for a feminine look that won't hurt your feet! Embossed leather upper and synthetic suede trim. Textile lining with floral design. Ultra-Fresh™ antimicrobial treatment controls odor causing bacteria. Total Support® compression molded EVA footbed. Zero-drop heel offers stable comfort the maximum support. Lightweight rubber outsole that is non-marking and non-slip.